A David Strauss Memorial Clinical Lecture live webinar featuring Christina Papadimitriou, Ph.D., Oakland University and George Washington University. Airs live at 3 p.m. ET October 24, 2019. Registration closes at 11:59 p.m. ET October 22, 2019. Registration closes at 11:59 p.m. ET October 22, 2019. What is cultural competency and why is it important in healthcare? Why is it relevant in the rehabilitation workplace? How can individuals and organizations address the challenges that cultural sensitivity poses? 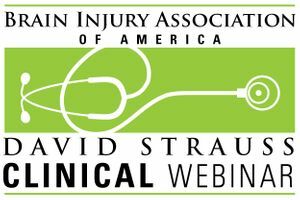 Join this David Strauss Memorial Lecture webinar as Christina Papadimitriou, Ph.D., describes cultural competency, sensitivity, and humility as necessary principles and practices in responding to cultural diversity in rehabilitation. © 2017 Brain Injury Association of America. All Rights Reserved.